Imagine you receive the devastating news that you have cancer. Quickly, you need to find a doctor and care team that you can trust completely. You’ve heard some ads for a comprehensive, compassionate cancer center and make an appointment. There, they ask your medical history, perform an exam, draw blood, and take some x-rays. The medical professionals bring the results back to you and discuss your treatment options. You are scared but grateful to know that you’re being guided by highly trained medical professionals who want to help you make the absolute best choice about your treatment. But what if you aren’t? What if you find out that those “medical professionals” are not doctors or nurses, even if some are wearing white coats or scrubs? What if the person who did your x-ray has never been trained at all? And what if it turns out they purposefully did not tell you that a common treatment option, say chemotherapy, is an acceptable medical option, simply because they believe it’s poison and are morally against it? What if you found out that the care center existed almost entirely because its staff, who do not have medical training, want to steer people away from legitimate courses of treatment because the staff themselves disagree with it? You’d be outraged. You thought you were going to a medical clinic, staffed by medical professionals, that was upholding the ethical and legal standards of medicine. You had no idea that this clinic doesn’t offer all options and is operating with the mission to steer you in one specific direction. You had no idea this isn’t even a medical clinic at all. And by the time you figure it out, your cancer is more advanced and chemotherapy that the “clinic” failed to tell you about may be less of an option. Why should this be any different with pregnancy care? The U.S. Supreme Court heard oral arguments recently in NIFLA v. Becerra , a case that has similarities to this example. Crisis pregnancy centers (CPCs), sometimes referred to as “pregnancy resource centers,” often advertise low-cost or free medical care, including pregnancy tests, ultrasounds, and pregnancy options counseling. You’ve probably seen their billboards along the highway. They typically have generic names that could be (and often are) mistaken for actual OB/GYN offices. What they don’t tell you is that the staffs at these centers typically fail to inform pregnant women who come to them of all of the safe and legal options available, including abortion. In fact, many times these fake medical centers actively persuade against abortion, including lying to people about supposed medical risks of this common procedure. There have even been instances of falsifying ultrasound results so that a woman mistakenly thinks she has more (or less) time to consider all her options. They pretend that they have medical knowledge when, in some cases, the people wearing the white coats and performing ultrasounds are not trained health professionals. Imagine having an untrained volunteer take your x-rays at the cancer clinic – that would be unacceptable. In response to this troubling phenomenon, California created a patient protection law, the “Reproductive FACT Act,” which requires these places to be upfront with potential patients that they do not offer all options and, if they are unlicensed, that they are not medical clinics. This is the law being challenged at the Supreme Court right now – the parties challenging the law do not want to have an obligation to be transparent to their patients. Some crisis pregnancy centers provide welcomed emotional, material, and spiritual support to people who have already decided to carry a pregnancy to term. 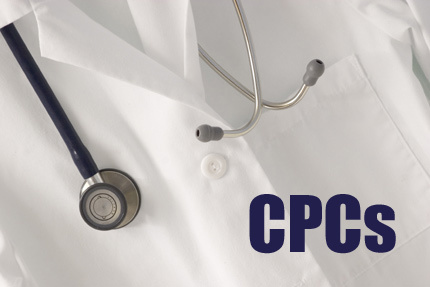 As a primary care physician, I am happy to refer my patients in these specific cases, as long as my patients understand exactly what the center can and cannot offer. I am not writing this op-ed to suggest that CPCs should be shut down. I am simply suggesting that they should be transparent about the services they do or do not provide. I completely support people’s rights to speak out against abortion. However, I do not support trickery and deception that manipulates a woman’s ability to weigh all her options at a significant moment in her life, especially if this includes intentionally misleading her into thinking that she is in the care of medical professionals. As a doctor, I must inform all my patients of the risks, benefits and alternatives of any procedure. I cannot pick and choose what information to give them because I think I know what’s best for them. No person seeking medical advice during a difficult time in his or her life should be subjected to deception. I hope that even on a topic as controversial as abortion, we can all agree that everyone deserves access to the latest high-quality medical evidence and unbiased care to make the decisions that are right for them. Erica Pettigrew, MD, JD, MPH is a family physician in Hillsborough, NC.